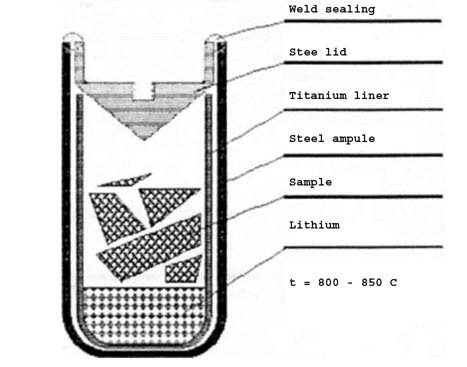 Capsule technology was developed and published at 1996. The technology system was designed for direct obtaining of acetylene from very small samples of organic matter or carbonates. It allows producing benzene from very small quantities of acetylene (as low as 0.05 g) with the overall chemical yield higher than 92% for organic samples and higher than 96% for carbonates. 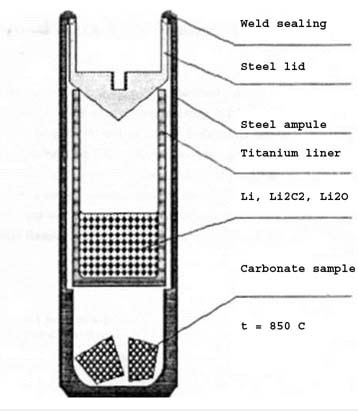 Capsule technology system is relatively inexpensive in operation and may fill the gap, arising between conventional radiocarbon techniques requiring samples containing more than (exceeding) 1 g of carbon and the AMS technique dedicated to milligram-sized samples. 1. Vadim V Skripkin, Nikolai N Kovaliukh. Production Of Lithium Carbide From Very Small Organic And Carbonate Samples For Liquid Scintillation Radiocarbon Analysis. 3. Vadim Skripkin, Mykhailo Buzynnyi. Teflon Vials for Precise C-14 In Benzene Measurements by LSC Technique. LSC-2017 - an International Conference on advance in Liquid Scintillation Spectrometry, 1-5 May, Copenhagen, Denmark. Book of abstract. p.72.